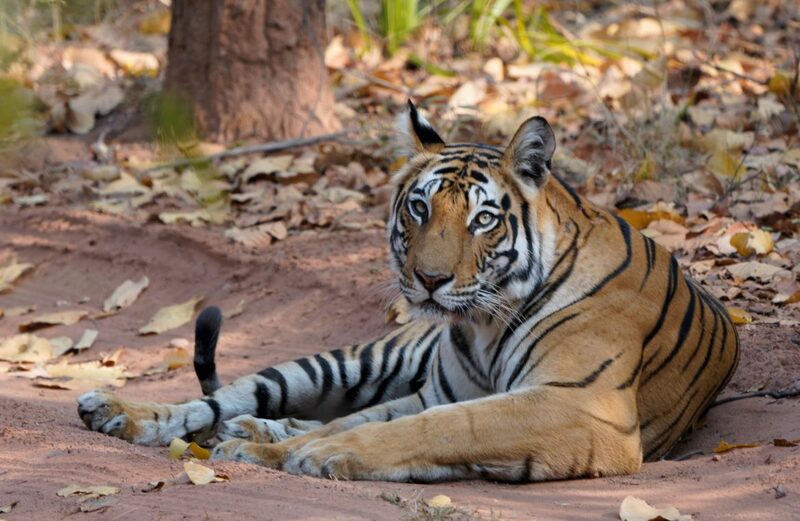 Everyone in India lies – especially about the tigers. As tourist dollars are crucial and highly competitive for the different parks, every park lies about animal spottings (especially tigers) to attract more visitors. While it may be true that there are tigers in these preserves, some areas have regular tiger sightings while in other parks tiger sightings are extremely rare. Unfortunately, you cannot trust the parks or tour operations. For example, I took a day trip from Kolkata to Sundarbans Tiger Preserve to see the famous swimming tigers. The park advertises that it has more than 100 tigers making it the most populated tiger preserve. What the park does not tell you is that because of the park design tiger sightings are extremely rare. According to my guide he is lucky if he sees one tiger a month. I took a three hours car ride, followed by a two hour boat ride just to get to the park where tiger sightings are almost nil. The highlight of the trip was eating a bag of sour cream and onion potato chips that I brought with me from the hotel. Not my idea of a fun day. Pick the time when you go very carefully. Animal sightings vary greatly depending upon the season. April, May and June tend to be the best months for seeing tigers, as the tigers come down to watering holes to drink. However Indian summer is oppressively hot (think 100+ degrees while you sit in the back of an open vehicle in the sun) so there is a trade off between seeing tigers and melting in the heat. Most of the parks are closed for monsoon season. Following the monsoons in the fall / winter the parks are much cooler, but tall grass makes it harder to see the animals. Allow Several Days. These are wild animals and no park can guarantee a sighting on any one day. At Bandhavgarh guides that I spoke with conjecture that they average a tiger sighting every 4 safaris (they do 2 safaris a day). This number increases in late summer. Thus, you should plan on spending several days at a park to guaranty a good sighting. Tigers are not the only animal to see. There are parks that are known for lions, leopards, elephants and/or rhinos. While tigers are certainly India’s main attraction, other parks specialize in other animal habitats. Be prepared for long days Most parks conduct two separate safaris, a morning Safari from 5:30 a.m. to 11:00 am and an afternoon safari (from 3:30 to 6:30) with the parks closing at lunch time (some parks also offer evening safaris). This means long days and early mornings. 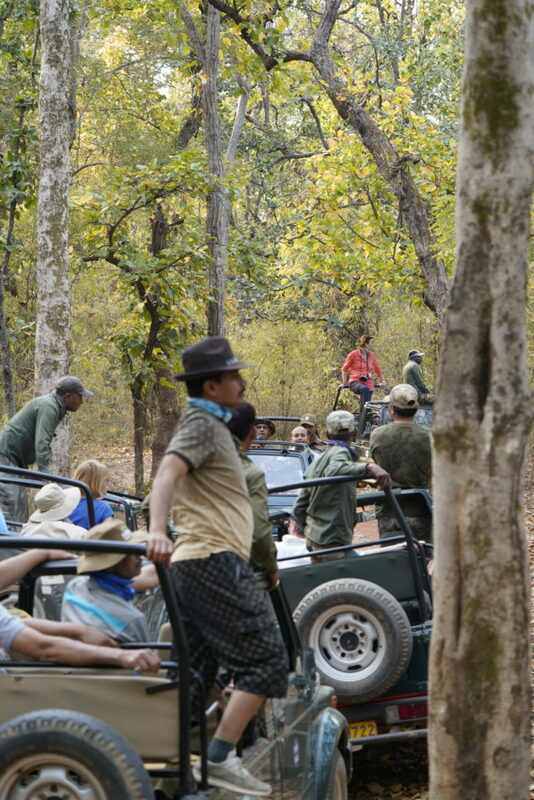 Be prepared for crowds Sadly in many ways Bandhavgarh reminded me of Disney World in Jeeps. There were long lines of Jeeps all driving around searching for tigers and when a tiger is spotted there can be more than 20 jeeps crowded around a tiger. 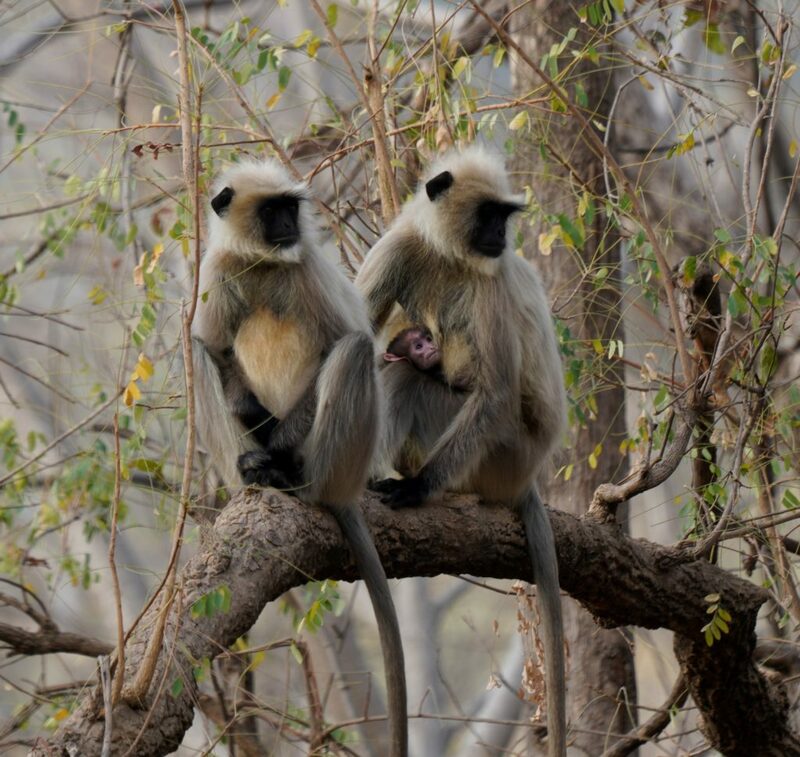 Ranthambore is notorious for crazy crowds. Expensive hotels don’t have better jeeps. 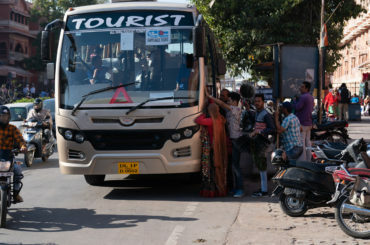 Most western tourists will be in a 6 passenger safari vehicle. All the vehicles are essentially the same, whether you are paying $400 a night for a hotel room or $50 a night. Don’t think spending more guarantees a more luxurious vehicle or a better chance of seeing a tiger. It is all the same. Make sure you have passes to the park. 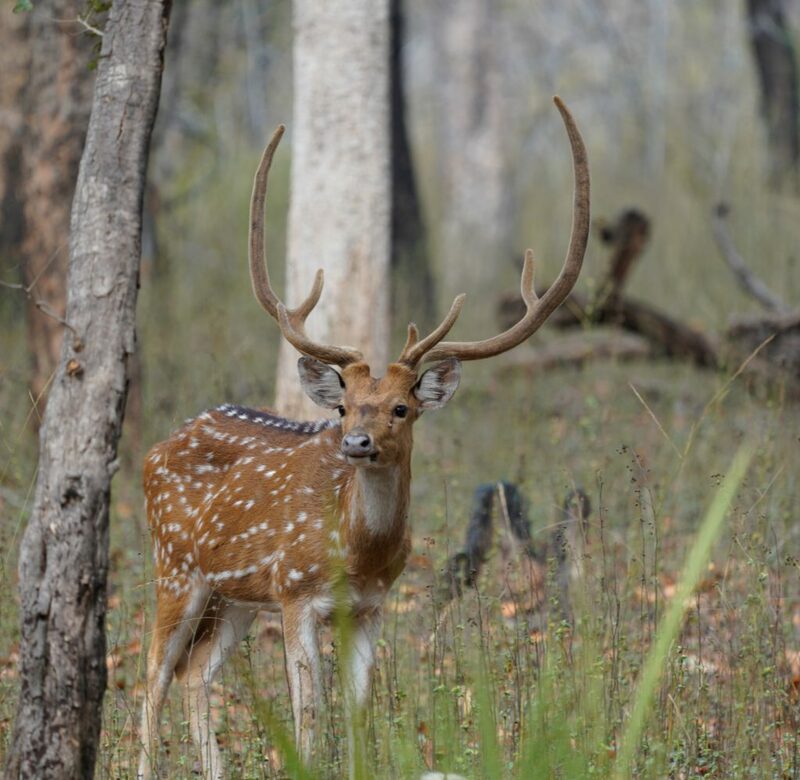 I was at Bandhavgarh during the start of the summer season (mid-March) and was staying at the King’s Lodge one of the more expensive properties. I wanted to extend my trip by an extra day to go on another safari. The park could not guarantee that it could get me a pass to enter the park. Make sure you have passes well in advance. 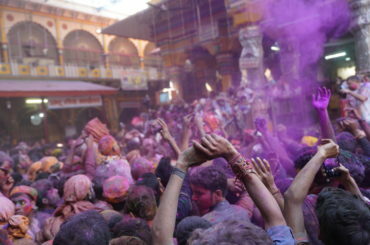 Am I crazy to travel half way around the world for Holi? I think it is crazy not to. A 9 Mile Hike Under the Blazing Sun of the Indian Summer and All I Saw was One @#$%#! 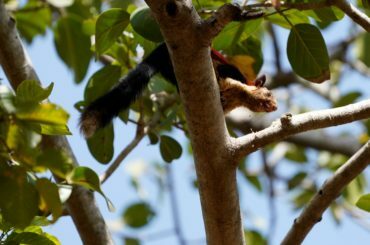 Squirrel (AKA Day 1 of my Safari in Satpura National Tiger Preserve). Hi. I’m Paul and welcome to my blog. For as long as I can remember I have had a passion for travel. 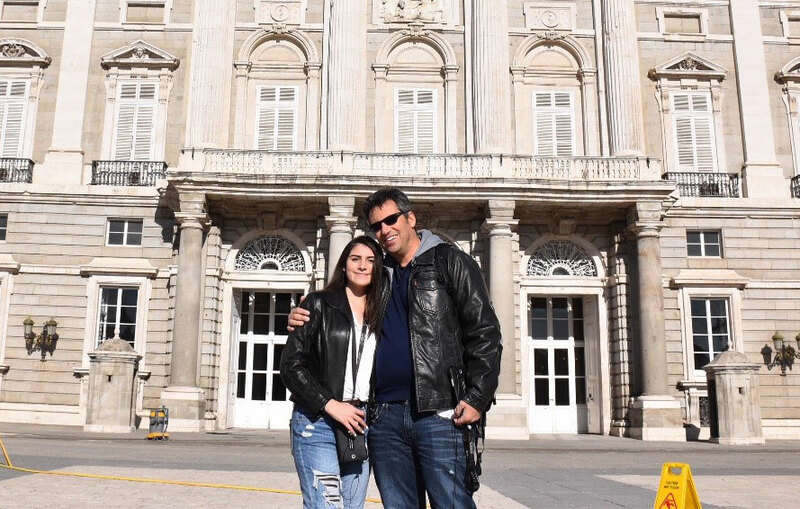 Here I am in Madrid with my daughter. I started this website to encourage others to see the world and hopefully make going on an adventure seem a little less daunting. To me travel, adventures and exploring the world are what makes life worth living.